That "junk" is probably the best new addition IMO. ^Which reminds me, has anybody seen the prototype video posted by WhiteWater? Some of you would be very disappointed if you saw the actual numbers they are pulling in now that they are just a waterpark. The area flat out refused to support a park the size of Alabama Adventure, for a variety of reasons. The waterpark has done pretty well on its own so far. CoasterGuy06 wrote: Some of you would be very disappointed if you saw the actual numbers they are pulling in now that they are just a waterpark. CoasterGuy06 wrote: The area flat out refused to support a park the size of Alabama Adventure, for a variety of reasons. The waterpark has done pretty well on its own so far. That's not surprising at all, really. Summer in Alabama + waterpark > an entire unshaded park with one decent roller coaster. Plus, it's in Buttcrack, Alabama. You don't really need much to impress folks there. An open fire hydrant would probably suffice. Skycoastin Steve wrote: So where do you stop on the zipline, the concrete block, or the concrete sidewalk? I was waiting for someone to mention this. Sounds like his is just responding to all the "experts" on TPR who know "everything" and insist the change to a waterpark only will be a failure. There have only been 2 times when a park has gone to a waterpark only park and "worked"
And that's It. If Wildwater Kingdom, OH can't afford to add anything, This won't. Rollercoaster Rider wrote: There have only been 2 times when a park has gone to a waterpark only park and "worked"
How many have there been that didn't work? And how are you defining if they "worked". Pretty sure WWK is doing just fine. Not adding something for a few years is not a sign that you are doing bad. In fact, I would argue that it means the opposite. Okay, as I told you (a week ago, =-/ ), I visited the park in June 30th. I was in the Birmingham area with a college group I was with. We were mostly visiting civil rights areas (Kelly Ingram Park, Civil Rights Museum, 16th East Baptist Church, etc. ), but the water park was included on the last day of the weekend trip. 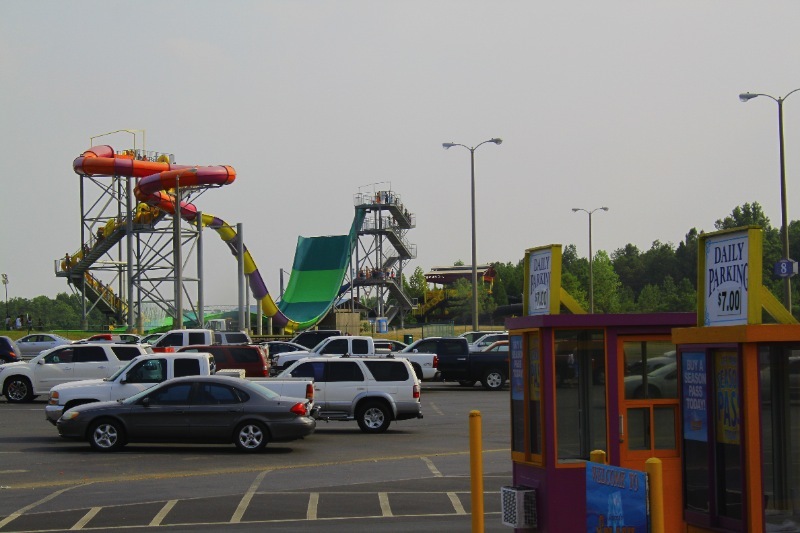 This was my first time coming to Birmingham, let along to Bessemer where this water park is located. When I first pulled in, a lot of the people on the bus were excited to lear that the park also had amusement park rides. I informed some that the rides were closed this year and they were selling them. As expected, they were a little let down. Splash Adventure water park itself seemed like a decent park. It's more of a destination for locals than something I would go out of my way to visit. The slides were pretty good, the park was pretty clean, and the lifeguards were quite nice. The water temperature was also perfectly warm on all slides. -Upsurge wasn't super thrilling, but it's still a pretty fun slide to get on. -Acapulco Drop has a crazy steep downward-pitch radius! Felt like I was siding off of the edge of a cliff! Too bad you get sore after a few re-rides. -Splashdown bowl slide turned out to be my favorite slide in the park. Another slide that scratched your back a little, but not too bad. -Neptune's Revenge was nice. Had a few sudden turns that rocked our tubes nearly to flipping! After riding every slide within an hour, a few friends and I conversed around the fluffy, fluffy bunnies filled with medicine and goo. After that, I spent the rest of the 1 1/2 hours taking photos of the park. Right before we had to leave the park to go back to the hotel, I took photos of the MISTical water maze and zip lines. ^You can see the first two security escorts in this video. Last edited by Midgetman82 on Sat Jul 14, 2012 9:54 am.